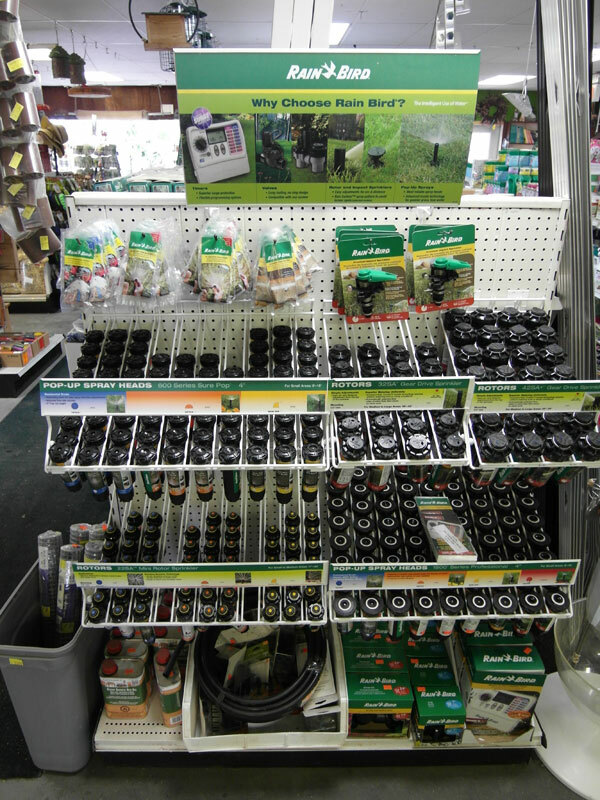 We have a great selection of Rain Bird rotor and pop up sprinkler heads. They are nearly all interchangeable with all other manufacturer heads so if you have a broken head of any make and model, we should have the Rain Bird compatible head to get your system back up and running. Here is the list of the models we have with their inlet size and coverages. We have 1/2″ pipe, 3/4″ pipe, 1″ pipe and the couplers to fix broken lines. We also have elbows and t’s for sprinkler heads. Finally we have 1″ Inline Valves, Timers, Jar top Anti Siphon Vavles 3/4″, Automatic Filter Drain Valves, 3′ Full Circle Bubblers, 15′ Adjustable MPR Spray Nozzle and 15′ Adjustable Spray Nozzle. Stop down with your broken head and we will help you out.